award-winning tropical oasis just minutes from Cairns Airport and the city’s central business district. 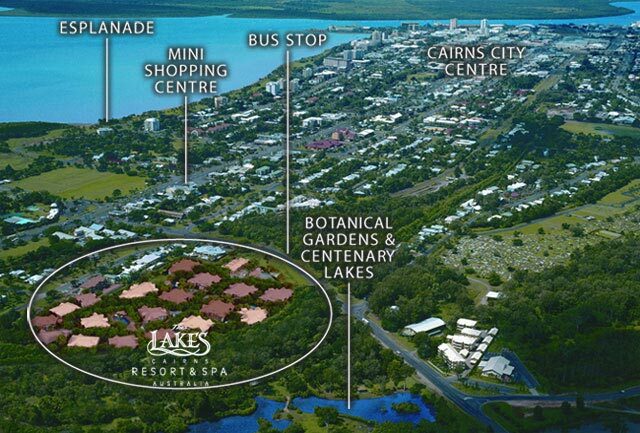 The resort is idyllically situated in the heart of Cairns’ garden belt and cultural hub – all of which can be discovered and enjoyed via inter-connecting walkways, and tree lined avenues. Centenary Lakes adjoins the resort and provides walking access to the Flecker Botanic Gardens, Red and Blue Arrow walking tracks and the Tanks Arts Centre.